Coconut oil has been winning over the hearts of health-conscious people around the world. However, its sister, coconut butter is about to make her way onto the stage. Coconut butter can be used in many ways, including being spread on toast or put in coffee. Though they both originate from the same tree, the two are not to be confused. Unlike the oil, coconut butter is made from blending all parts of the coconut including the flesh whereas, coconut oil is simply extracted from the fruit. Because of this, coconut butter contains fibre, potassium, magnesium and iron in addition to fat. The one thing that the two do have in common is that they both have a lot to offer your health. Coconut butter is a good source of lauric acid. This acid is helpful for boosting immunity and destroying harmful bacteria, viruses and fungi. It’s the same acid that’s found in breast milk that is responsible for developing the immune system to fight off viral and fungal infections. If you’re looking to shed a few pounds, coconut butter can help with that. It increases your metabolism, which in turn helps you lose weight. With a fast metabolism, your body is able to break up the food you eat much quicker, thus giving you more energy and allowing you to burn more calories. In addition, coconut butter is rich in healthy fats that your body uses as energy rather than storage. This fat also allows you to feel full longer and will curb your appetite. If you eat one or two teaspoons of coconut butter a day, you may notice a difference in just two weeks. In addition to helping you feel good, coconut butter can help you look good. Coconut butter protects against free radicals that may be damaging to the skin. It’s also a great moisturizer as it’s able to penetrate deep layers of skin, strengthening the tissues. It can even help you reduce the look of aging by improving your skin’s elasticity. Your blood sugar levels can also have an impact on your weight. Having high blood sugar levels makes it harder for your body to break it all down. Thus, the excess sugar is then stored as fat. By adding coconut butter to your diet, you can lower your glycemic index. This helps prevent your blood sugar levels from spiking. It also helps protect you from insulin resistance, which is associated with type II diabetes. One of the greatest things about coconut butter is that it can be added to a wide variety of foods. It’s rich in flavour and extremely easy to incorporate in a meal, snack or drink. By including coconut butter in your diet, you can enjoy a delicious, flavourful meal as you shed some pounds, and provide your body and brain with a number of health benefits. 2. Melt it and pour it over a sweet potato or winter squash. 4. Add it to a smoothie like this piña colada one. It doesn’t get more refreshing than this. 5. Spread it over toast in place of real butter and add some almond butter for a satisfying snack. 6. Drizzle it melted over berries or other fruit in a bowl for an amazing dessert. 7. Toss it with some shrimp or chicken and add some hot sauce. If you’re a vegetarian, you can toss it with tofu instead. 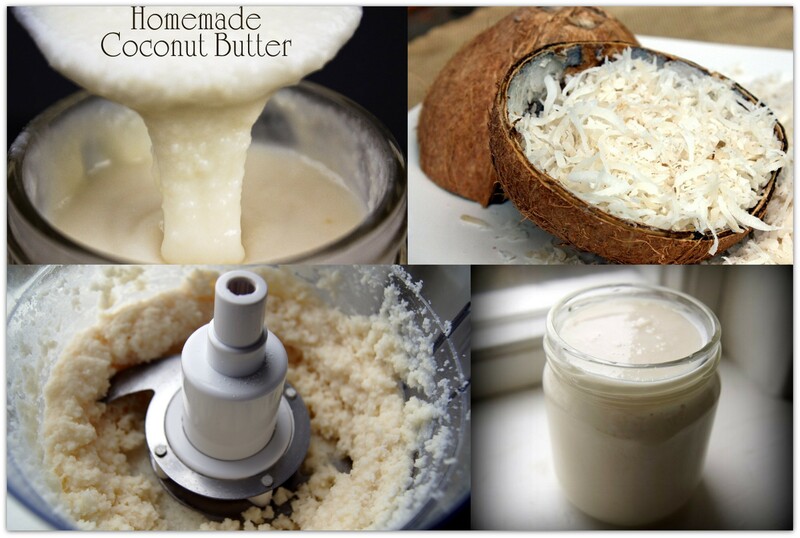 Find out how to make your own coconut butter here. You can also blend coconut butter with a variety of tasty ingredients to make flavored coconut spreads! Add all ingredients to a blender or food processor and blend until creamy. If you need more liquid when blending simply add water or warmed non-dairy milk as needed. If too runny, simply put it in the fridge or freezer for a bit until it firms up. You can store it in the fridge for up to a couple weeks.